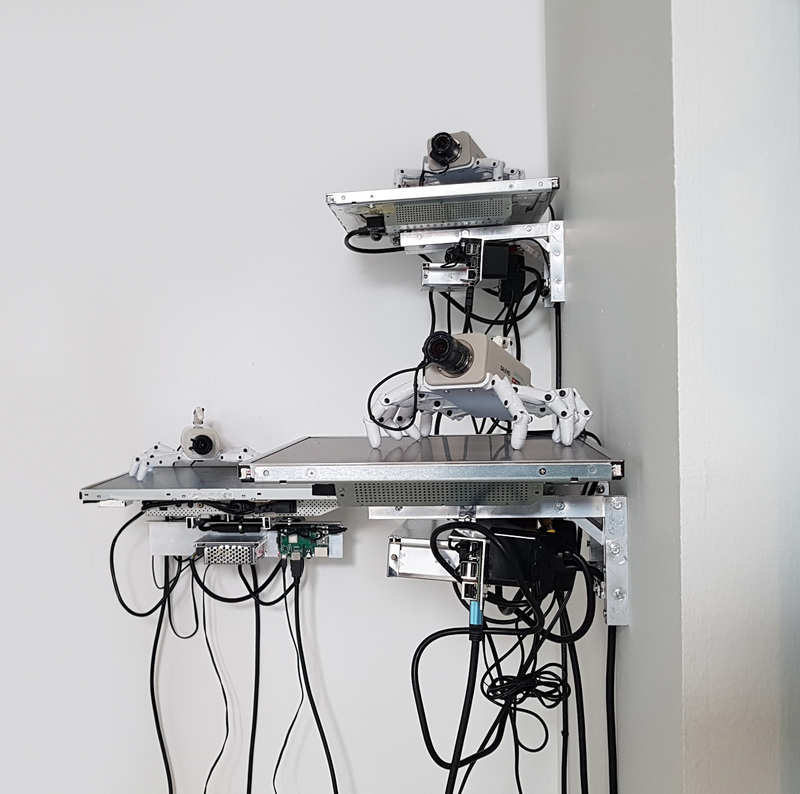 The installation talks about the loss of privacy in our society. We like to think that we can escape when we want this surveillance environment, although it is still a fantasy that Evgeny Morozov defines as Cyber-utopianism. 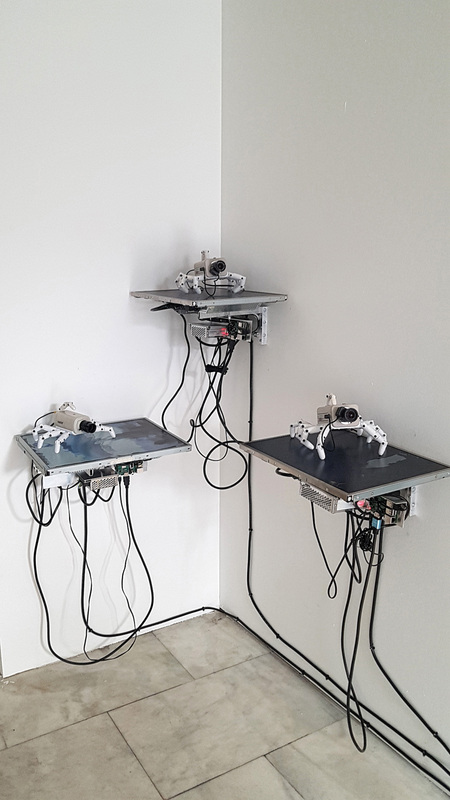 The code-manipulated real-time video image that imitates image reflection on the water and is captured by the CCTV cameras, is a symbol for the liquid modernity of Zygmunt Bauman that describes the current unstable, chaotic and changing society. The author also writes how this late modernity is marked by global capitalism economies, increasing privatisation of services and the revolution of information. On the other hand, as the American literary critic and theorist said Fredric Jameson: it is easier to imagine the end of the world, than the end of capitalism. 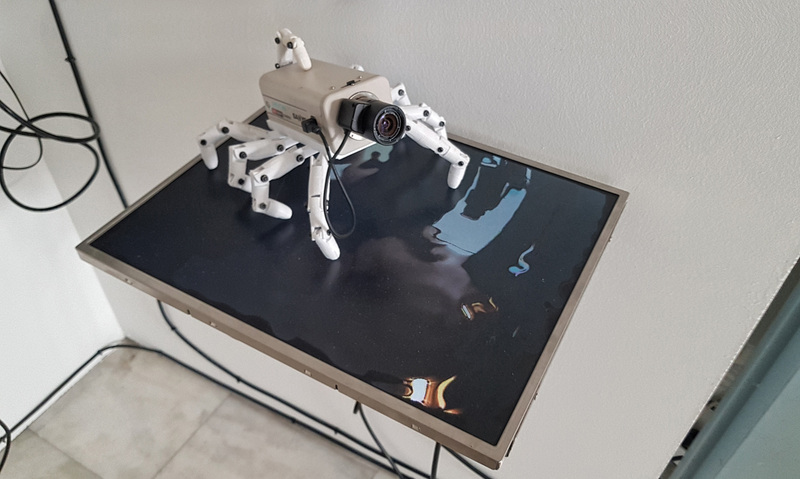 The analogue camera, as an icon of the massive data capture, is converted in a kind of animal or insect articulated by human fingers printed in 3D. This capability of movement refers to surveillance capitalism (term coined by Shoshana Zuboff in 2015) that defines the new economy model, which generates revenues by surveilling the customers. 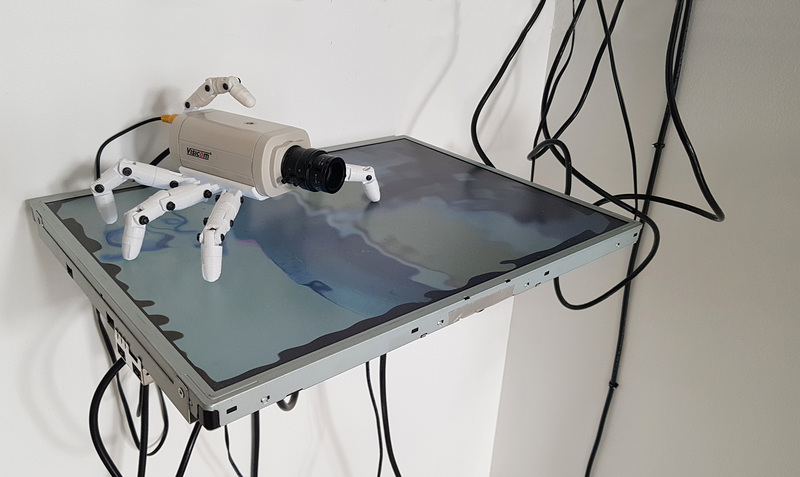 An utopian animal captures the image in front of it, which is turned into a watery image displayed on the screen that the sculpture is placed upon, watching tirelessly our changing and unstable society. 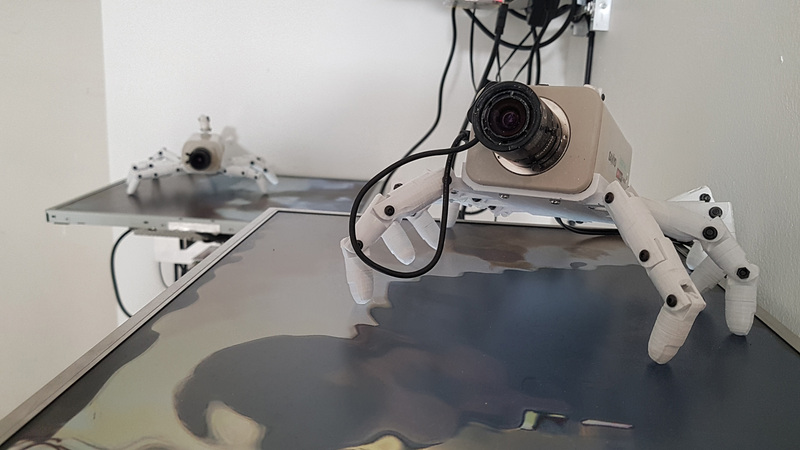 CCTV cameras of the installation were formerly responsible for monitoring art in several museums and galleries and now they have become the work of art itself. In other words, before the cameras were part of the gear of surveillance economy and now they are part of the artwork and concept of it. At the same time, we like to think that we can escape when we want this surveillance environment, although it is still a fantasy that Evgeny Morozov defines as Cyber-utopianism.